As I knew neither the original text nor any of its subsequent adaptations, my only real expectations for this musical lay with the legendary Michael Crawford, who is perhaps best known in the theatre community for playing the Phantom in the original production of The Phantom of the Opera. Crawford plays a delicate Leo Colston, who is very evidently still haunted by the events of this poignant summer from his childhood. Crawford remains on stage throughout the musical, reliving the moments which have affected him so deeply, and offering his reflections, mostly through song. The opening scene establishes the slightly eerie edge of Leo’s remembering of his past, and this is one of disappointingly few moments when the score adds something valuable to the production. The score, which is otherwise rather flat, excels during these passages of music in which a large number of the cast sing overlapping motifs, building up a stirring atmosphere. Though the whole cast give exceptional vocal performances throughout, the lyrical phrasing is too often clunky and clumsily metaphorical, leaving many lines hanging awkwardly in the space. This seems most often a problem for Crawford’s role, through his intersecting commentary. It is clear that this part would, in theory, work well as a narrative layer in a play, but it does not seem to have translated well into the musical form. Perhaps as a result of the underwhelming score and stilted phrasing, the first act is very slow-paced, and it is not until the beginning of the second act that the musical builds momentum and I was truly gripped for the first time. Interest is held up until the climax of the show, which, without giving too much away, then falls quite anticlimactic in comparison. This climactic point of the show and the scenes that follow are also confusingly unemotional, given that this event is still haunting Leo all these years later. Where this production really redeems itself is in the staging and movement of the performers. The set is simple, though undeniably picturesque, and remains the same from scene to scene, allowing our attention to be drawn to the symbolic use of props and expressive choreography that were beautifully and delicately handled throughout. Special mention must also be given to the two young boys, Luka Green and Samuel Menhinick, who play young Leo and his school friend, Marcus. Green’s remarkable composure conveys Leo’s innocence perfectly, yet he also maintains a spark of burning curiosity that carries the motives and actions of his character. Menhinick is the perfect contrast of unyielding boisterous energy, and his unapologetic bolshie remarks earn him the most laughs of the evening. 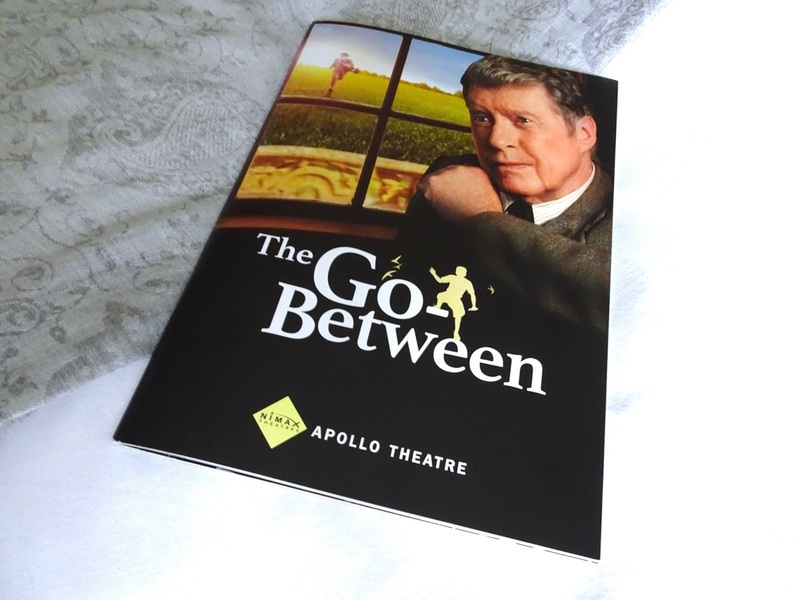 The Go-Between is an enjoyable production with some truly beautiful moments and is well worth a watch, yet it’s perhaps not quite compelling enough to warrant a second visit. Huge thanks to Stagedoor for making this review possible through the Stagedoor Circle blogger event.